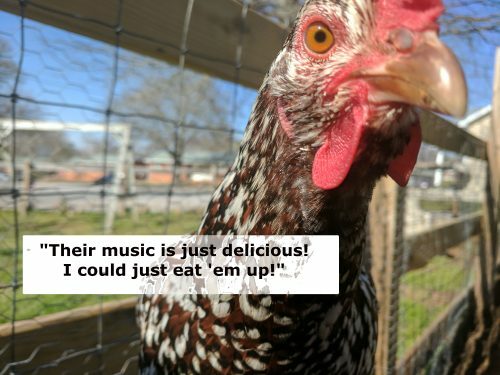 Blog Home | Backyard Chickens | Joys Of Keeping Chickens | Inside Birdbrains: Chicken Joke Survey Results! 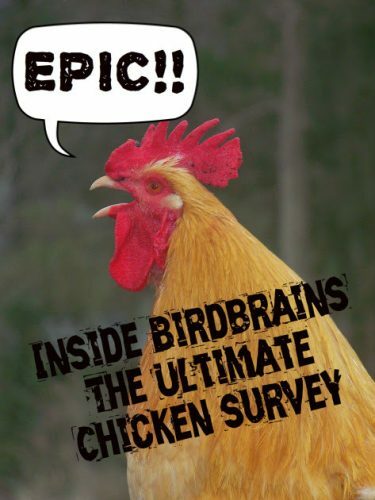 The Most Comprehensive Survey of Chickens Ever! Finally—after incubating the idea for months—the results have hatched! 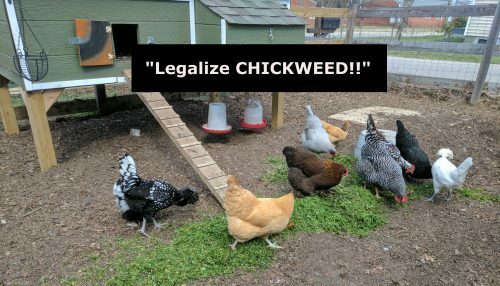 Through months of vigorous surveying by phone and chicken joke focus groups, My Pet Chicken was able to interview more than 10,000 American chickens from a variety of breeds, geographic locations, and socio-economic situations. 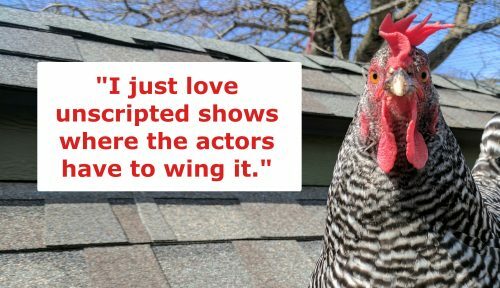 Our Annual Report on What Chickens Think—Groaner Version—is here! We’d like to thank all the birds who completed the interviews and didn’t make a straight run for the door, accepting our invitation to vent their opinions on a free range of subjects, including sports, current events, pop culture, and more. Yeah, we were surprised, too! While we were surprised at the diversity among breeds and ages in regard to their preferred musicians, there was no disagreement about the least favorite band of all time: The Eagles. (Apparently the name itself makes them feel vulnerable). That’s just the beginning of the results of our chicken joke survey and we’ll unveil more in upcoming blog posts. But for now, we’d like to conclude with perhaps the most surprising result of our survey. Stay tuned to the My Pet Chicken blog for more! loved the Chicken jokes. They should be on Saturday night alive. This is too funny, laughed and laughed. Thank you !!!!! This was great .. Loved it, very funny ..